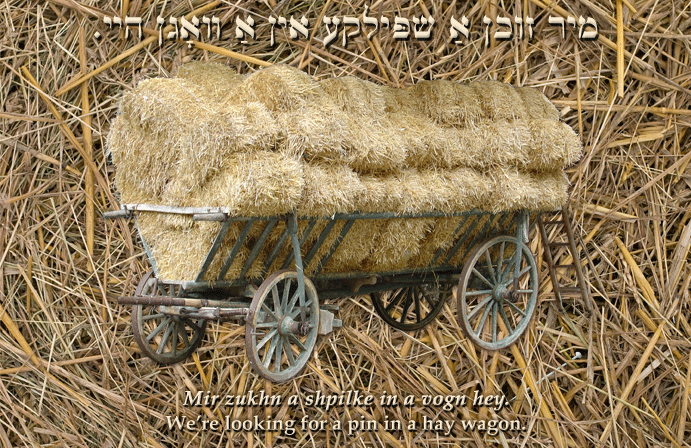 Yiddish Idiom: We're looking for a pin in a hay wagon. מיר זוךן אַ שפּילקע אין אַ וואָגן היי. Mir zukhn a shpilke in a vogn hey. We're looking for a pin in a hay wagon.